These environmentally friendly Leitz recycled punched pockets are made from 100% recycled polypropylene foil. 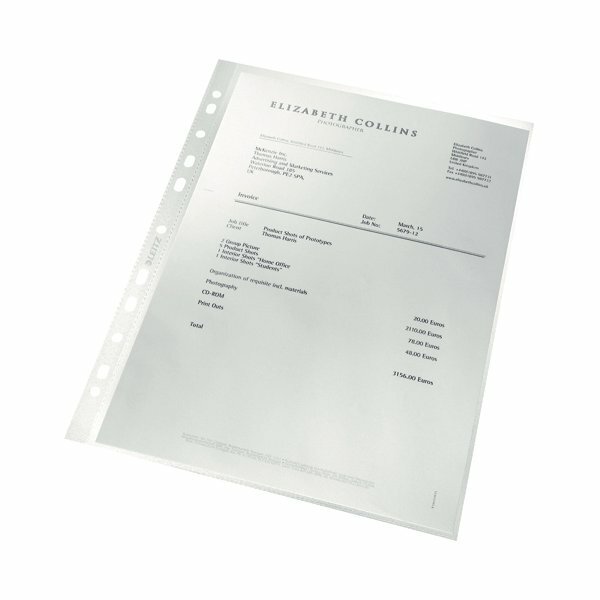 The high quality 90 micron polypropylene has an embossed finish and multi-punched reinforced white strip for filing in standard lever arch files and ring binders. The pockets are top opening and copysafe with a capacity of 25 sheets of 80gsm paper. This bulk pack contains 100 punched pockets.